It is by no doubt that we treat our bodies like a machine. There is an input such as thoughts, ideas and conversations and there has to be an output such as projects and results but what we often miss out on is the waste material which gets dumped back into ourselves. With years hard work and taking too much stress I ended up with insomnia for three years and also managed to disrupt my menstrual health until sense knocked in. Following are eight ways I have kept my s*** together during my traveling, projects, jobs and all other engagements. Not to mention s*** from family and potential soulmates. So far, I am rocking at keeping it all intact and you can too! 1) Sauna and Steam bath: I never shy away from trying new things even if they pull me out of my comfort zone. 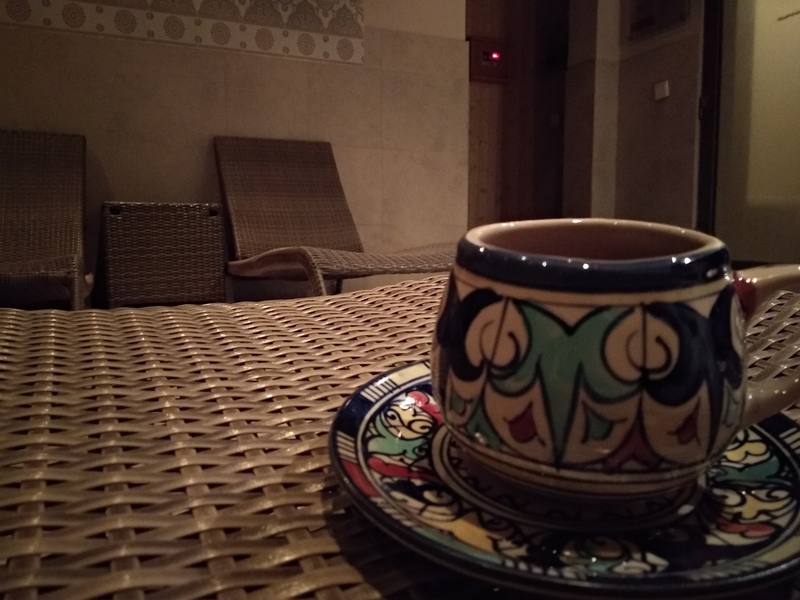 This time it is about moving my body from the wheelchair to the sauna and steam rooms of many hotels I have stayed in. I always go for a 5 min session each and results are amazing! One feels more cleansed and fresh after a cold shower and there is certainly a mood lift. Also, I have met some amazing women inside sauna and have also had some deep conversations that I will never forget. If I am traveling, sauna and steam is a must and it is complimentary everywhere! 2) Meditation: is stupid. NOT! We all have been there where we question the actual results or benefits of meditation. I found it a waste of time in my initial days with no feeling ever. The whole idea of sitting idle and just breathing seemed boring. Until you start feeling changes inside you. I experienced creativity, clarity of mind and peace within after every session. It can be as short as 5 minutes to 20 minutes for me. The secret to meditation is that the less you do it, the more blank you feel but the more you do it the more you enjoy. I put an alarm and settle anywhere. I feel it’s like a quick sweep of the mind. 3) Hijama (Cupping): This is also the practice of Prophet Muhammad (saw). The internet is all praise for curing many diseases including depression and anxiety. The truth is I am not sure if I have either or if my day is normal, so I had to try it to feel any difference. The therapist was very skilled and pricked with a sharp blade on the points I mentioned on my back and then placed suction cups on it let it bleed a bit. It did not hurt but rather was ticklish. The results right after were amazing. I felt lighter, in control of my problems and knew I will be fine. It was truly magical. 4) Swimming: I am a self-taught swimmer and the water itself has taught me some great lessons. One of them being about fear. The more you fear the water, the more it tries to swallow you. The more you move ahead with your stroke, the more it takes you forward. Its all about not letting fear overpower you. Swimming has known to be a great workout. It also releases endorphins which lifts our mood. I have always felt great during and after swimming and ensure to have positive affirmations while I am at it. It makes me feel good about myself, more active and is a great way to start my day. 5) Massage: I have had some great and some terrible massages. But all in all, they have helped me feel more pampered. Because why not? This is a great way to give your muscles a break and soothe any part that is overworked. I always request a shoulder massage during a facial and always feel rejuvenated later as it also leads to a good sleep and helps me relax my body. 6) Fragrances: I don’t wear perfume but always have great air fresheners for my room, car, wardrobe, washroom and handbag. It always lifts my mood and makes me feel happy even if I am having a stressful day. 7) Menstrual Cycle (Read on even if you are a guy): I also understand my menstrual cycle and all the hormonal clash there may be during my dates. It is all very natural and nothing to be ashamed off. It also has no relation to my IQ or my leadership. It is as normal as having cravings during pregnancy. I ensure not to indulge in any serious conversation and eat healthy during that time. I never overpower myself during those days and give myself full allowance to remain isolated if I must. But this also means I meet deadlines earlier and let myself enjoy during those dates. Even having a good cry feels great and I don’t deprive myself of feeling human. 8) Banana: Finally, I eat one Banana a day. It has properties to fight depression and uplift your mood. It has really worked so far, and I always feel happy throughout the day. I have one before swimming. The truth is there will always be s*** to be taken care off. One can never escape their responsibilities or their fantasies. But there are ways to enjoy them as life goes on and reduce any ill effects on the body. I love being active, but nothing comes for free. Let’s just make sure the price is our time, money and attention and never our health, relationships and emotions.